Some very cute patterns to pick from in this collection and best of all, they are free! You can check out the link to all the patterns here. 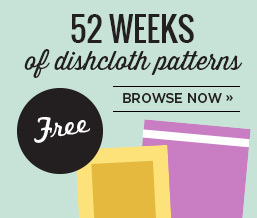 Another Free Knitting eBook from Interweave! I’ve been enjoying their patterns and books for a lot of years. And their free knit and crochet resources are hard to beat. I downloaded a copy of this latest free ebook this morning and I hope you enjoy a copy too. Some great patterns here for beginners too, especially the cowl and hand-warmers. And no spam or endless emails afterwards, I know that for sure. 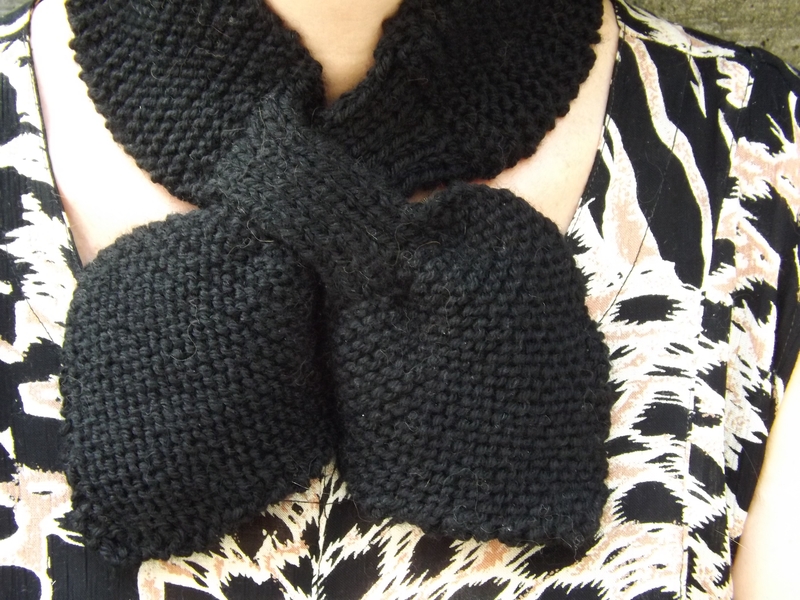 I made this Bow-Knot scarf recently from some black worsted-weight stash yarn that I had. I do think it will be very nice to wear for the winter though. An easy project, would be perfect for beginners and didn’t take much yarn either. Nice gift idea too! If you’ve been looking for another stash-busting project for your own “yarn pile” you can check out the pattern here. Finished these Guilty Pleasures Socks a couple of weeks ago. They were fun to knit and not too difficult either. I made them in Patons Stretch Socks yarn in Mineral shade and they took approximately 1.5 skeins to make (this was not the yarn called for in the pattern, that used just one skein in keeping with the theme of this book). They were one size pattern, fit great. These socks are featured in the book: 101 Designer One Skein Wonders. Actually a lot nicer in reality than the photos are! Now that I’ve “aced” the art of sock-knitting, I’m working on my first pair of knit gloves now. Kind of challenge but fun. I’ll share some photos when those are completed too.